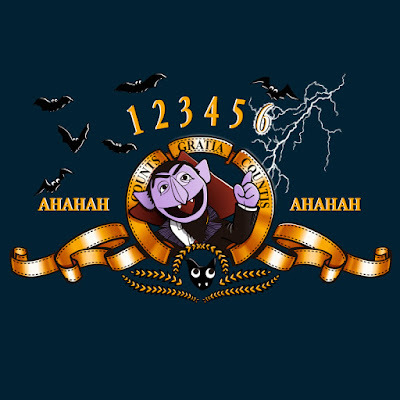 My new Sesame Street inspired design is here, "Counts Gratia Countis", a new parody of the MGM logo. Yeah, I know it's not actual Latin, it just fits the original "Ars Gratia Artis" way better than "computare per computare", as my Latin-expert-friend Alberto pointed (thanks buddy!). Count von Count at your service! Get it at Neatoshop, Redbubble or Teepublic, as usual.